Enjoy a 5 day Adventure trip to the Desert and explore Siwa Oasis where you can visit the ancient town of Shali where you can view the Temple of Alexander, also include taking a 4x4 into the desert and enjoy the silent magic of this fantastic desert. Early Morning your private Guide will pick you up from your Hotel in Cairo by A/C Vehicle to accompany you on a journey to visit Alamein which is an approx.. 3 hour drive.Our first visit will be to the Military Museum which houses many of the weapons,tanks and uniforms used in World War 2. Proceed on now to visit the World War 2 Cemeteries. We now leave Alamein to visit Marsa Matrough bay which is on the beautiful Mediteranean Coast then proceed onto Siwa . The drive from Alamein to Siwa takes approx.. 6 hours. overnight in Siwa. This morning after breakfast we will take a visit to the Old City of Siwa. Here you will see the Alexander Temple which was dedicated to the God Amon. The Temple is in Aghurmi Village . 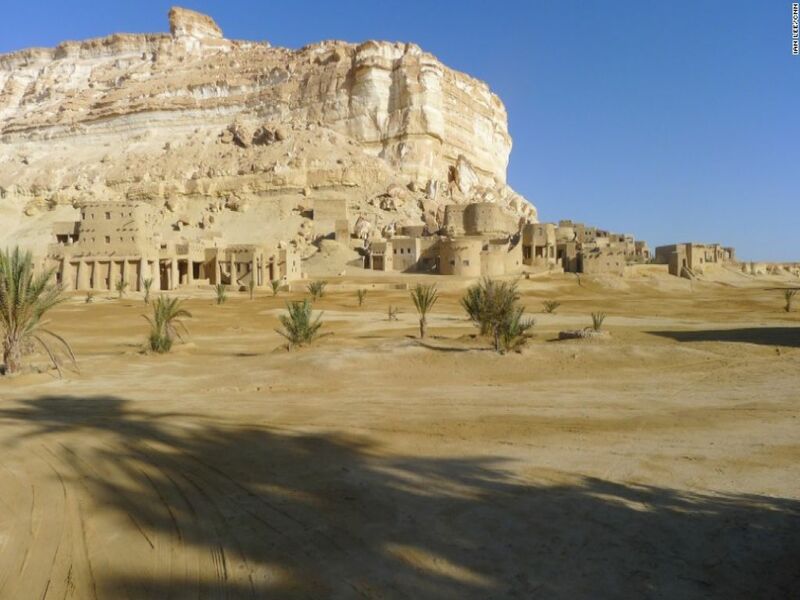 Then take a visit to see Amun Ra Temple in Um Ubeyda.Now journey to Cleopatra Spring Ein Guba.We now proceed to visit the Siwa House Museum. Transfer to Fitnas Island known also as Fantasy Island where you will see the most amazing Sunset. Overnight in Siwa. This morning after breakfast we journey to the Siwa Desert . 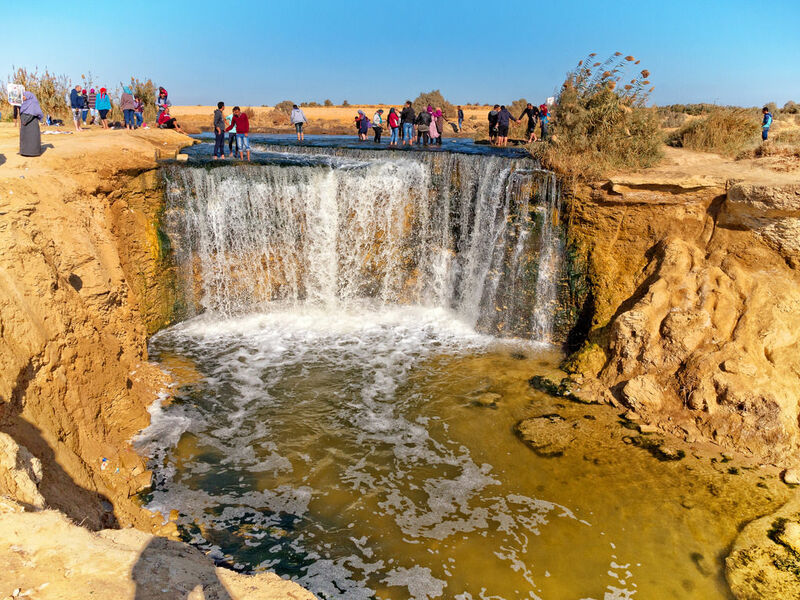 The first stop will be Maraki Village.Let us now Cross the desert and stop near one of the archeology sites at Great Siwa Mountain.Here you can see the first human footprint above the mountain which dates to the prehistoric era. 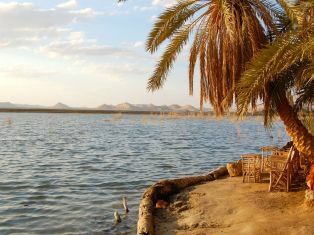 Our Safari continues on between the dunes where we will arrive at the fossils area.Here you can view the rocky coral reefs .We now drive onto Shiata Lake where you have the great chance of watching the beautiful Flamingo birds, you can also take a swim at cold spring and relish the bath and relaxing atmosphere. After enjoying your swim and relaxing bath we can now experience the sand surfing in the desert. Now enjoy driving to Bir Wahid which is a hot spring where you can relax your muscles. Back to your Hotel. Overnight in Hotel. 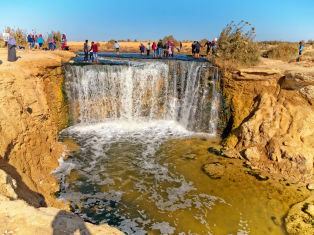 This morning after breakfast at your Hotel we will be visiting Gabal al Mawta where you can see the tombs inside the Mountain of the Dead which includes the Crocodile Tomb, and Si Amun tomb which has a painted and decorated wooden beam depicting the Sky Goddess Nut.Continue on to visit Dakrour Mountain. Now proceed to Abu Sherouf which is one of the Siwan Villages. Here you can enjoy seeing the life style of the Bedouin, also enjoy the Roman Spring Eye. Transfer back to your Hotel. Dinner and overnight in Siwa. Today you will be transferred to Cairo.